The 10G Passive Optical Network technology differentiates itself from traditional copper technology by pro­viding a maximum of 10Gbps down­load speed, higher reliability and lower latency. 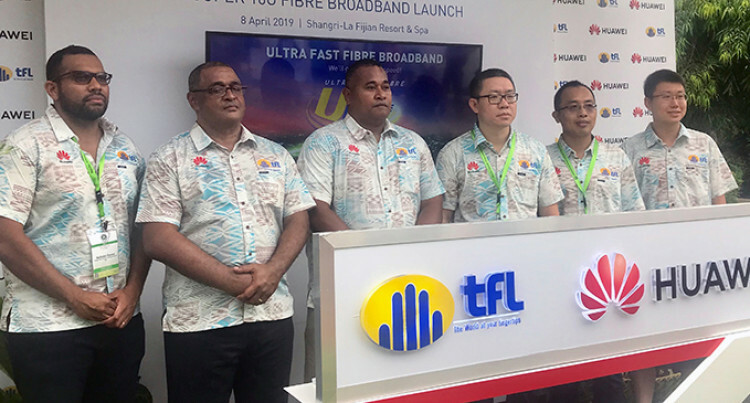 Telecom Fiji yesterday announced the successful deployment of its 10G optical fibre network in Fiji, the first of its kind in the South Pacific. The network is planned to provide Gi­ga-band network access service for Fi­jian households and enterprise users. The 10G Passive Optical Network technology differentiates itself from traditional copper technology by pro­viding a maximum of 10Gbps down­load speed, higher reliability and lower latency that covers all home broadband and enterprise leased lines. “By adopting this 10G PON solu­tion, the competitiveness of our fixed broadband in Fiji has now significant­ly enhanced,” said Joseph Naua, gen­eral manager Sales and Marketing of Telecom Fiji. “The faster and more reliable Giga-band connections make it possible for our customers to enjoy 4K video, smart home and high-speed enterprise interconnections. “We are also proud to work in part­nership with Huawei in the deploy­ment of the 10G PON network,” Mr Naua further added. This deployment will further en­hance Telecom’s customer experience while at the same time significantly reduce network operation and mainte­nance cost.